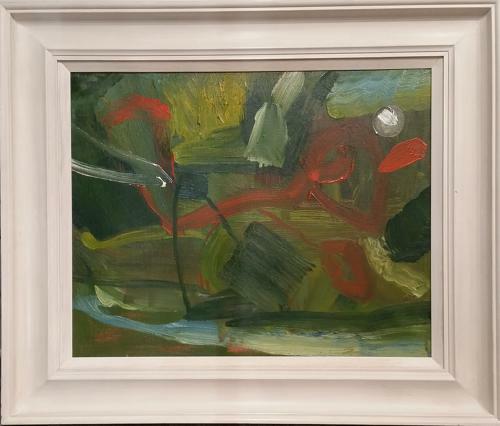 Oil on canvas signed and titled on reverse. One of a series of paintings done in and around the Conwy Valley in the mid 1990's, an area familiar with the artist since childhood. College of Art, the Slade and St. Martin’s School of Art. He was elected RA in 1999 and was Keeper at the RA Schools. Work is held in many private and public collections including the British Museum, Art Council of Great Britain, Walker Art Gallery, Liverpool and the Royal Academy of Arts.